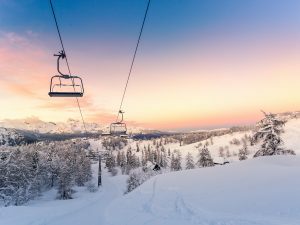 Earlier this year, a state appellate court issued a written opinion in a California personal injury case involving a plaintiff’s claim against a ski resort. While the opinion discussed several issues that are pertinent to California injury claims, most interesting was the court’s discussion of liability release waivers and the doctrine of assumption of the risk. Per the court’s holding, the plaintiff sustained a serious injury when she ran into a snowcat at the end of a day of snowboarding at a ski resort (the defendant). Evidently, the plaintiff ran into the back of the snowcat after it made an abrupt turn, cutting her off. As a result of the accident, the plaintiff was seriously injured. The plaintiff filed a lawsuit against the ski resort claiming that it was grossly negligent. This wrongful death action was brought on behalf of a man who died from cardiac arrest after completing a half marathon. He was given CPR by another racer and a bystander, but by the time the automatic external defibrillator was brought to him his heart had no shockable rhythm. The man’s family brought suit against the organizations and individuals who oversaw and put on the race. They alleged that those responsible for the race were negligent, especially regarding the availability of emergency medical services. 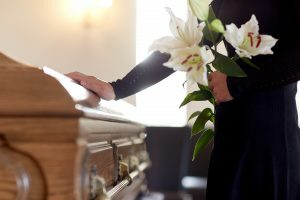 When loved ones die due to the negligence of others, families – generally with the assistance of knowledgeable California personal injury attorneys – may be able to hold the wrongdoers accountable. Plaintiff Kirk Anderson appealed from a trial court’s grant of summary judgment for defendant Fitness International, LLC, (L.A. Fitness) following his being injured in a locker room shower. Anderson contended the trial court erred because a triable issue of fact existed as to whether L.A. Fitness was grossly negligent. The California appeals court disagreed and upheld the lower court’s decision.In December 2011, Anderson, who was in his early 60s, joined L.A. Fitness in Glendale. He signed a membership agreement, which included a release and waiver of liability (the Release). In September 2012, Anderson finished his exercises and went to take a shower. The shower room has a tile floor that Anderson alleges has significant and sharply downward slanting slopes and is layered and covered with body oil and soapy residue. There are no handrails, shower mats, or friction strips in the room.